Perfect for comfy outfit for Spring! 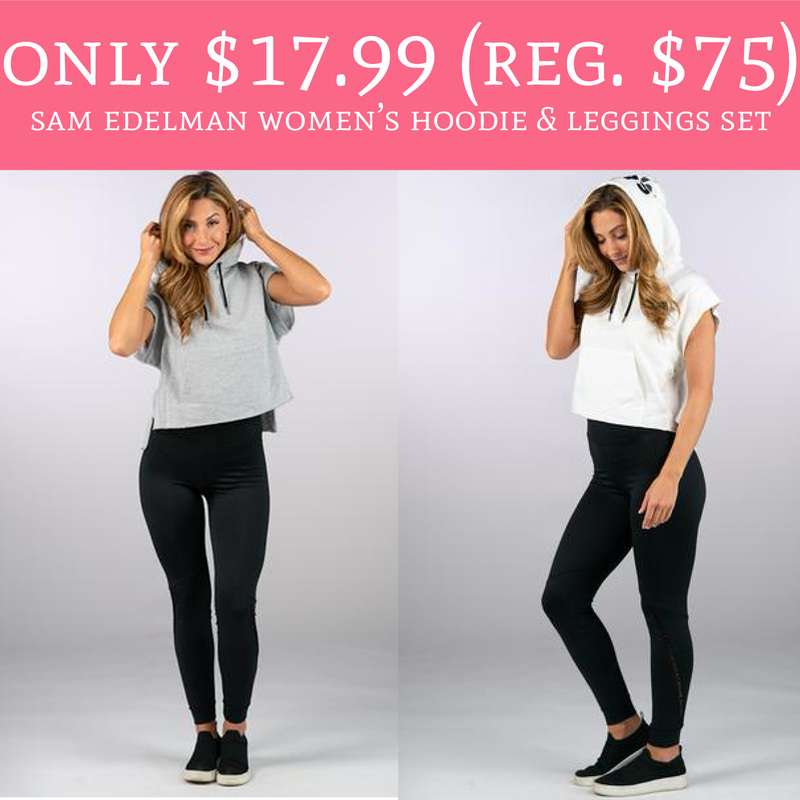 Through 4/19 or while supplies last, hurry over to Proozy.com where can purchase Sam Edelman Women’s Hoodie & Leggings Set for just $17.99 (regular $75). The set is currently on sale for just $28.99 and use promo code DHB1799 to receive an additional $11 off. Plus, you will receive FREE shipping! You will get a pair of leggings and a hoodie for this super hot price. This deal won’t last long so hurry and order yours here!